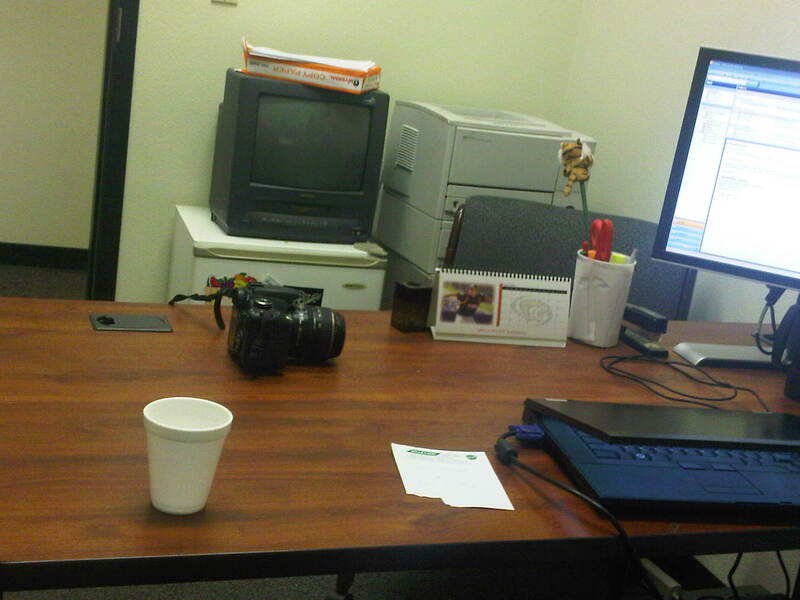 In my new workplace, we have an intern who works a couple hours a week. She’s a college student, young, energetic, perky. She’s worked for us for a couple years now. Apparently, a while back, she decided that her workspace, shared with a few other student workers, was a cluttered mess and decided to make it more suitable for her work. The result? 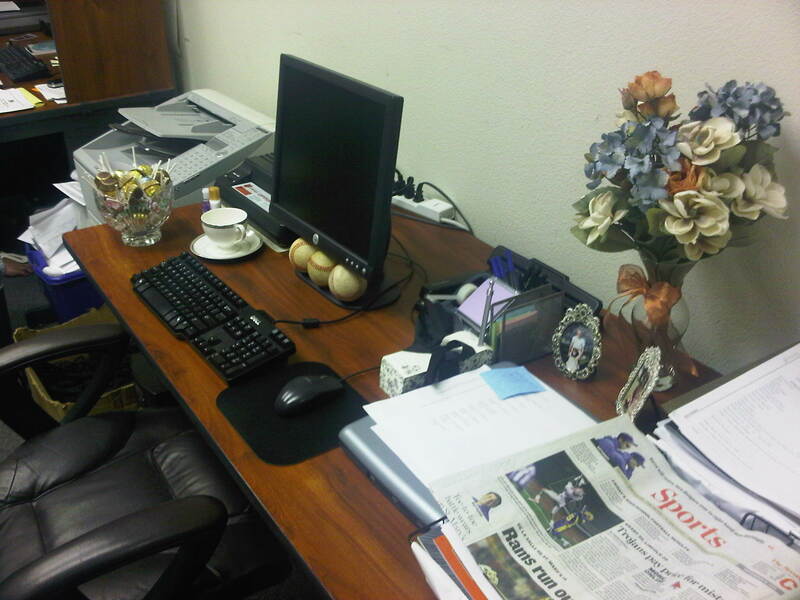 A vase with fake flowers, a desk organizer, with frilly note pad, and a large glass candy bowl. It’s always good to see a young person take initiative and ownership in something like that… But it’s weird that she has a better workspace than I do.